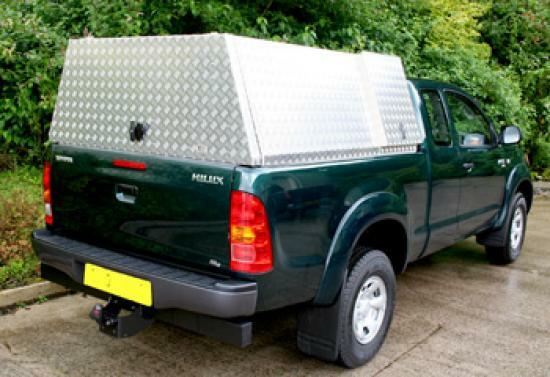 The Aluminium Canopy is strong, reliable and durable. 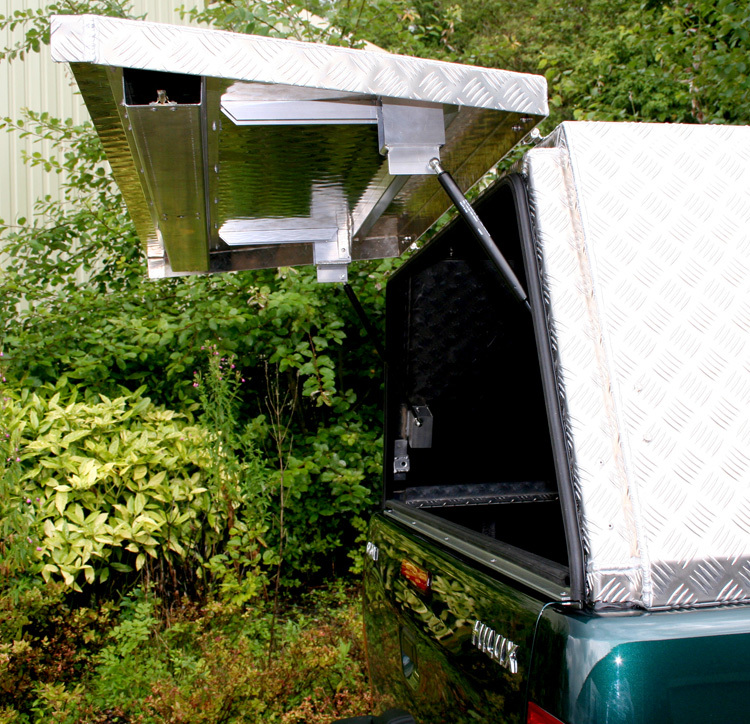 This Canopy has many practical features, which makes it ideal for the workhorse vehicle. 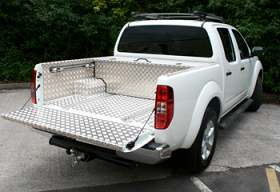 The Aluminium Canopy was designed with the customer in mind, taking into account his work tools and how best to use the space effectively. 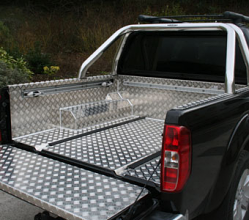 The Aluminium Canopy is fabricated from 3mm 5 bar chequer plate aluminium, the side doors lift up on gas struts, and stay in the up position, when open. Southco pop out locks are used, thus making it secure and attractive, due to them being flush fitting. 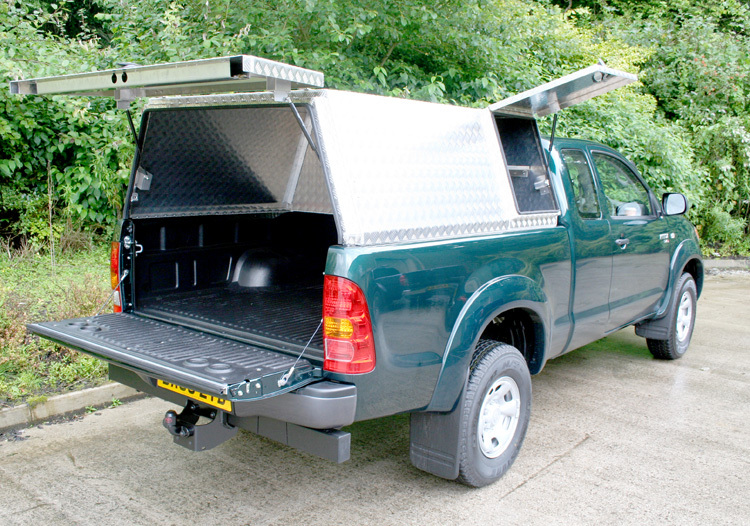 The Rear Tailgate is locked with a Recessed T Handle, co-ordinating a rod lock system, which will lock into either side of the canopy for greater security. 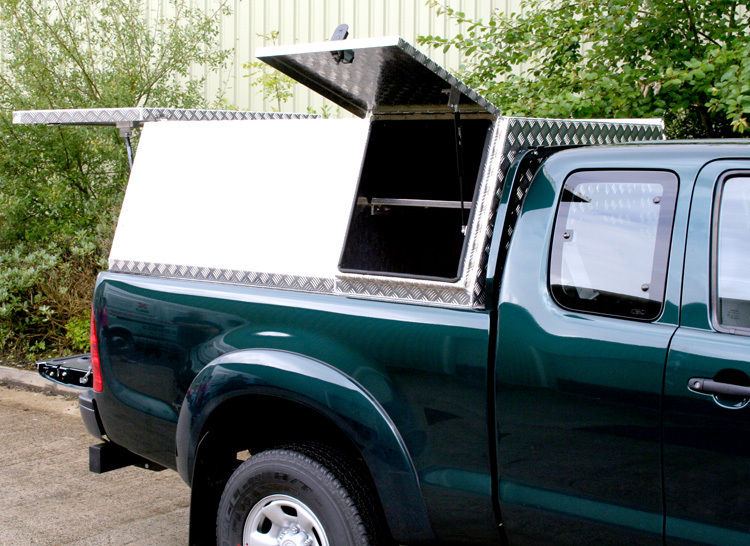 Give us a ring with your requirements, and allow us to give you a quote, you won't find a canopy on the market that will have the longlevity of this one.